The old Tawau airport was located on Jalan Utara, literally known as Northern road about 2 miles away from Tawau. This old airport at the early years was used to cater to small aircraft, such as Fokker 50. In early 1980's runway was broaden to take MAS's Boeing 737 from Kota Kinabalu, Sandakan and Lahad Datu till 2001. Earlier, on March 20, 1995 a Cessna Caravan cargo plane had also crashed into houses following a failed take-off. Another Boeing 737 plane was skidded off the runway in October 2001 without any causing any injuries to the passengers. According to a survey, the old airport has one of the shortest runways in the country. 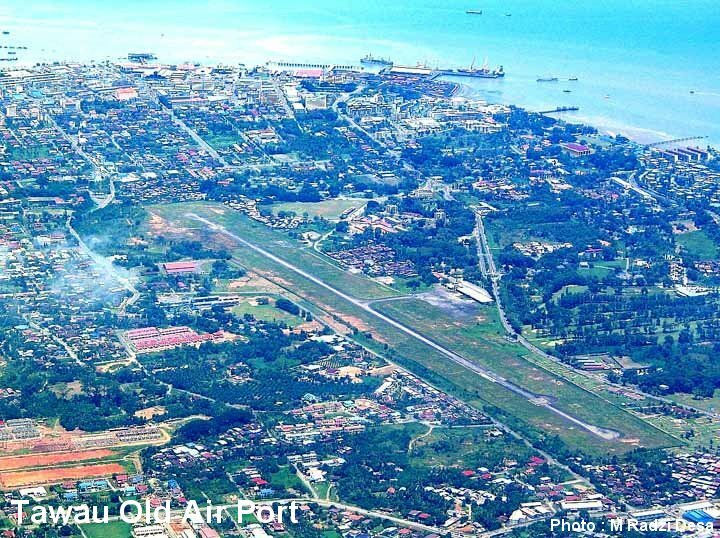 This a new international airport was planned by the authority that shifted Tawau airport to the present new location in Balung along Tawau - Semporna highway, 30km from Tawau. The new airport was opened to public in December 2001 and became the second largest airport in Sabah after Kota Kinabalu International Airport.